Beautiful and easy to make eggnog panna cotta with raspberries is sweet, delicate and light dessert with vibrant colors and a brilliant choice for parties. Whisk the egg yolks and sugar and heat it over the medium heat until just becomes warm. Add the warm milk with melted gelatin. Whisk all together. 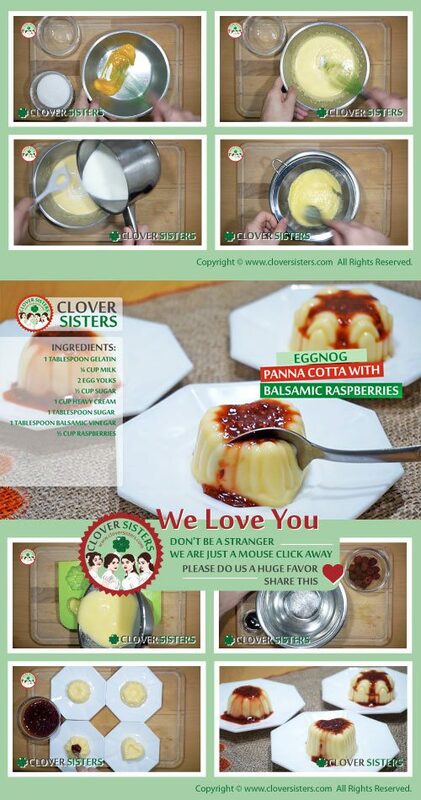 Divide cream among molds, cover and leave into refrigerator to chill. Combine tablespoon of sugar and tablespoon of balsamic vinegar. Add the raspberries. Let it sit for about 10 minutes before use. 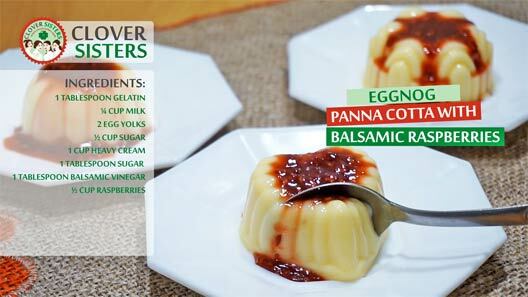 Serve eggnog panna cota with balsamic raspberry sauce.